2 Beds 2 Baths 1,347 Sq. ft.
BACK AVAILABLE... SHORT SALE NEGOTIATIONS STARTED WITH BANK. 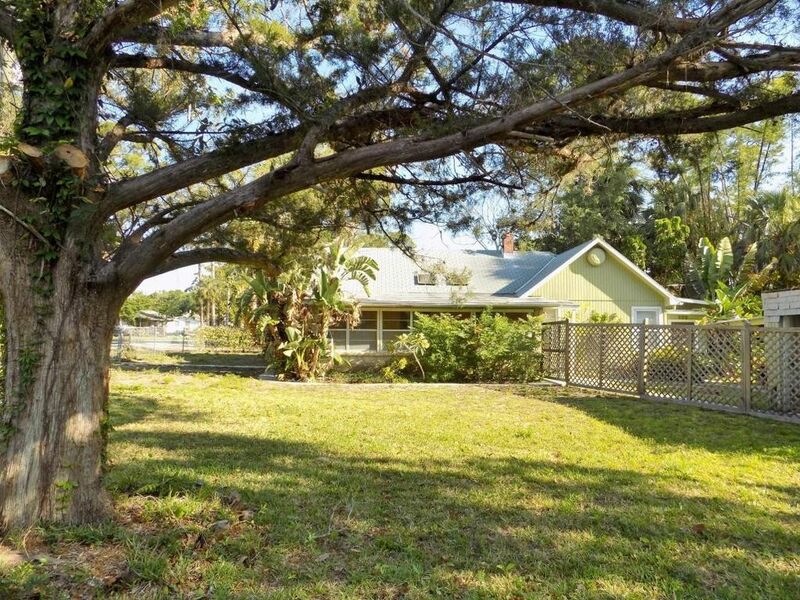 Large fenced and landscaped corner lot! Very nicely remodeled older home! LOTS OF CHARACTER AND CHARM! Master suite includes private entrance, an office or dressing room, remodeled bath and large bedroom! The 2nd bedroom is also a nice size. Remodeled and updated 2nd bath! Big Living room with wood burning stove and beamed ceiling! Bamboo wood floors. Light and bright kitchen with eat-in breakfast area! Big glassed Florida room across the front. Tax records appear to have this space as living area but it doesn't appear to have heat & air. Cute courtyard garden off master bedroom area with shed/laundry room! NO HOA! Room for an RV and all your toys! The garage and carport areas have been destroyed.